0800 hours pick up from the hotel and drive out of Nairobi, past business complexes and into the open country where you will see coffee and tea growing. Drive onto Nyeri arriving in time for lunch at Outspan Hotel. This Beautiful hotel was the last home of Lord Baden Powell, founder of the Boy Scout Movement. After Lunch join the transport which departs for Treetops for afternoon game viewing from the hotel lounge. Treetops overlooks floodlit waterholes visited regularly by buffalo, elephant, eland and bush pig. Dinner and overnight at Treetops/The Ark. After an early breakfast drive along the floor of the Rift Valley and turn left to climb up Western wall of the escarpment to arrive in Masai Mara Game Reserve in time for lunch at the lodge. After lunch time to relax followed by afternoon game drive in the park. Masai Mara is home to the highest concentration of animals and it is in this area that the annual migration of animals takes place between July and October. Animals to be seen include elephant, buffalo, cheetah, lion, leopard, topi, impala, gazelles and giraffe. 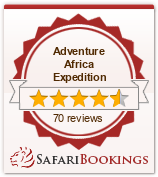 All meals and overnight stay at the Mara Sopa Lodge. Full day spent in Masai Mara with morning and afternoon game drives. All meals and overnight stay at the Mara Sopa Lodge. After breakfast drive back to Nairobi to arrive in time for lunch (lunch on this day is on own arrangement). Later transfer to the airport for departure flight home.